C.J. Mosley. Credit: Mike De Sisti, USA TODAY Sports. The Denver Broncos are setting themselves up as one of the best defensive teams in the NFL once again. 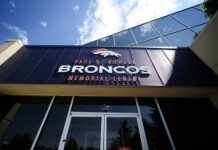 John Elway hired Vic Fangio, leader of the league’s No. 1 defense in eight separate categories last year, to command a group which is chock full of talent. 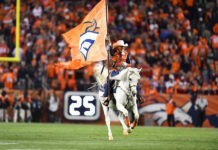 Von Miller is likely the greatest defender in the history of the Broncos, Chris Harris is still a lockdown cornerback, and we can’t forget about rising star Shelby Harris up front. But, what about the middle of the field? Linebacker leader for years, Brandon Marshall, is leaving the team. And while Josey Jewell and Todd Davis have flashed brilliance at times, they’re not athletic enough to be that all-around linebacker needed in Fangio’s attacking defense. What should Denver do? They can fill both inside linebacker spots with a huge, one-two punch and knock this offseason out of the ballpark. First up, sign C.J. Mosley. Secondly, draft Devin White. On Tuesday, Mosley wasn’t offered a franchise tag, meaning he’s officially a free agent. And Denver should pounce on likely the best free agent linebacker out there this offseason. 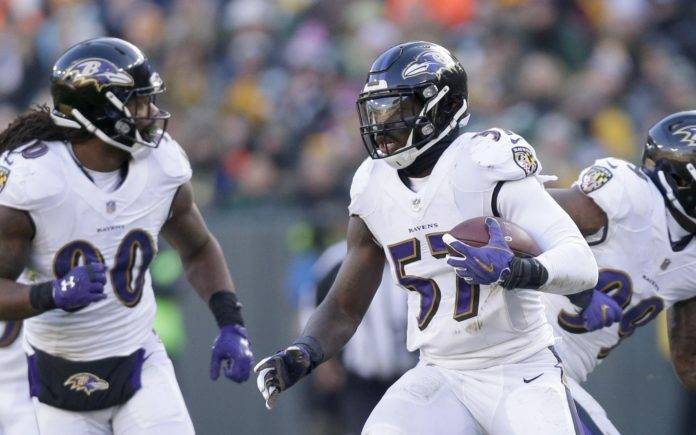 Mosley has played the his first five years in the NFL with the Baltimore Ravens, being a workhorse for their staunch defense in the middle of the field. He’s one of the best off-ball linebackers in terms of stopping the run, earning a grade of 87.0 from Pro Football Focus, the sixth-best in the league over the course of his career. He’s enjoyed 105-plus tackles in four of his seasons, racked up 8.5 sacks and forced six fumbles. Mosley’s a tough, intimidating linebacker who can hover around the line of scrimmage and impose his will on both running backs as well as quarterbacks. Last year, we saw Davis out of position many times in the run game, leading to explosive plays given up by Denver’s defense. Odds are, Mosley would fill those gaps and make the plays. However, where Mosley excels in the run game, he lacks skill in defending the pass. According to PFF, his coverage grade isn’t awful at 73.8, but it is 24th among off-ball linebackers during his career. That grade is interesting considering he has nine interceptions and 35 passes defended — solid numbers for an inside linebacker — but those raw stats don’t always tell the entire tale. Broncos fans know the team struggled mightily in terms of guarding tight ends in 2018, and while Mosley is a stud and would help there, he wouldn’t be the full solution. That’s where White comes into play. White, a 6′ and 240-pound linebacker out of LSU, just ran the fastest 40-yard dash (4.42 seconds) among inside linebackers at the NFL combine. Not only is he fast, but he’s skilled at covering tight ends. Undoubtedly, the youngster possesses a ton of confidence, and his stats back it up. His 123 tackles last year were the most in the SEC, he racked up 28.5 tackles for a loss and 8.5 sacks with one interception in three years with the Tigers. Putting Mosley and White together in the middle would immediately give the Broncos one of the most dynamic linebacking corps in the NFL. Miller, Mosley, White and Bradley Chubb? 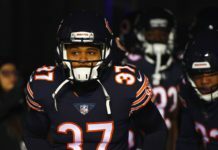 All of them are incredibly athletic, dynamic players who can rush the passer, stop the run; they’ll do anything Fangio’s defense demands of them. Mosley is certainly the best bet in the middle of the field — although there are other options — and he’ll cost a pretty penny. Spotrac guesses he’ll command $9.7 million per season, and considering his versatility, he’ll be worth it. The Broncos currently have $37 million in cap space, but that should grow greatly depending on how and when they move away from Case Keenum. Signing Mosley and drafting White would be a dream scenario for Denver, filling their two major voids in the middle of the field. Up front, they’ve already exercised the option on Derek Wolfe and will likely tender Shelby Harris soon. So, once they go out and make a splash signing of Mosley, they can quickly turn their attention to the defensive backfield which needs one-two cornerbacks and a safety if Denver moves away from Darian Stewart.